The recent devastation done by the earthquake and tsunami to Japan breaks your heart. What can we do? Mid-Columbia Insurance decided that we wanted to contribute to the Red Cross Japan Relief Fund. 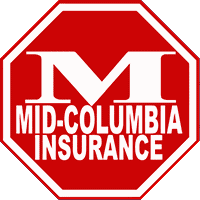 Mid-Columbia Insurance has placed collection boxes at each of our four offices so that our clients can contribute to the Red Cross and we will match dollar-for-dollar all contributions made by our clients through the end of this month. To kick-start the fund raising we took a $1000 ‘advance’ check to the Red Cross volunteers at KEPR-TV today. We hope that we will be needing to bring another $1000 check by the end of the month! KEPR-TV personalities along with members of the American Red Cross are accepting donations today, March 16th, at the KEPR-TV station, 2807 W. Lewis St. in Pasco, till 7 p.m.
You can also make donations by calling (866) 944-3838 or if you text REDCROSS to 90999 a $10 contribution will be added to your phone bill.